Perfect Automation is a very powerful macro software that comes with a script editor, launcher, scheduler and of course, keyboard and mouse recorder suitable for both beginners and advanced users. 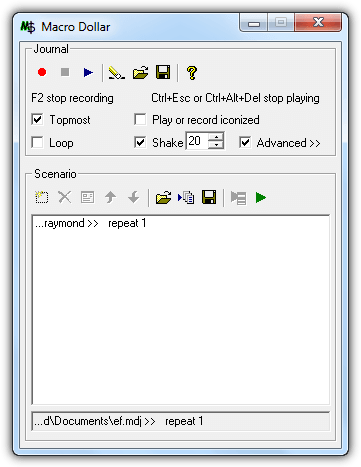 The macro recording makes it really easy to automatically record an automation while programmers can create their own commands through the Gentee progamming language. An advantage in Perfect Automation is the ability to record the mouse events in relative coordinates instead of absolute which means your macro can still work on the active window even if it has been moved to a different position on the screen. In the script editor you can find over a hundred pre-made scripts to automate operations. 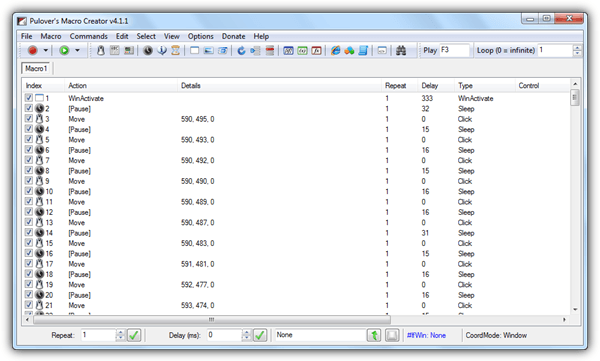 TinyTask is well known for being the smallest macro software at an amazing 33KB in size. With that kind of file size, you would expect a really simple application with probably only two functions such as record and playback but there is more than that. 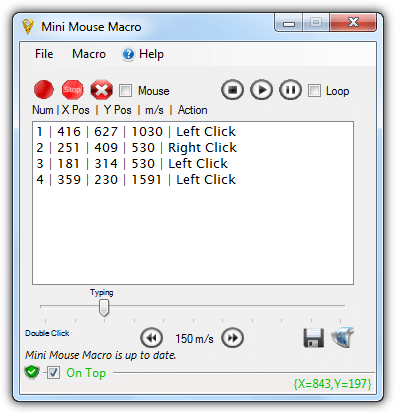 TinyTask’s graphical user interface measures only 137 x 48 pixels which can be a little small for high resolution monitors and it has six buttons to open and save recordings, record and play, compile the macro to an independent executable file, options to change the playback speed, repeat playback and changing hotkeys. TinyTask would be most suited for basic computer users who don’t want to mess around with a macro editor. 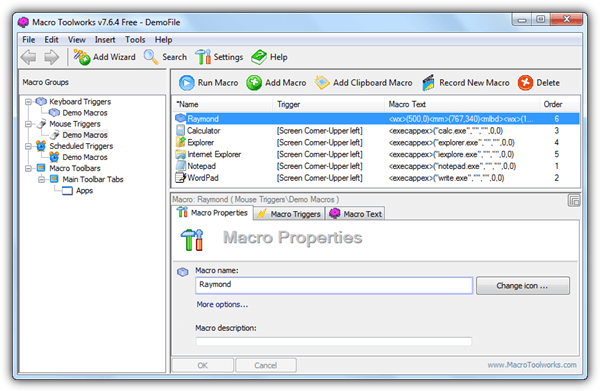 Our first choice for free macro software is Pulover’s Macro Creator which is based on the AutoHotkey language. It is easy to use and yet has all the features that we’re looking for such as compiling to EXE, repeat/loop playback, macro editing, hotkeys to start/stop recording/playback, customizing hotkeys, scheduler, speeding up playback and most importantly, very low memory usage. During testing, the compiled executable macro merely used up 1.2MB of memory when it is running and does not increase while it is being played repeatedly. The installer, portable build and even the source code is available to download from the official website. Note: AutoIt and AutoHotkey are excluded from this list because both have become powerful scripting languages for Windows which can be a bit difficult for beginners. Although AutoIt and the older version of AutoHotkey v1.0 do come with a very basic macro recorder (Au3Record for AutoIt found in Extras folder and AutoScriptWriter in AutoHotkey v1.0), you may be better off with TinyTask to do the job, or Pulover’s Macro Creator if you need the extra macro editing capabilities. The free iMacros addon available for Chrome and Firefox browser are added to the comparison table below but is also not included under our top 10 list because they are only used for browser automation and do not work on other desktop applications. The tables below are a summary of the features from the 10 macro software listed above. 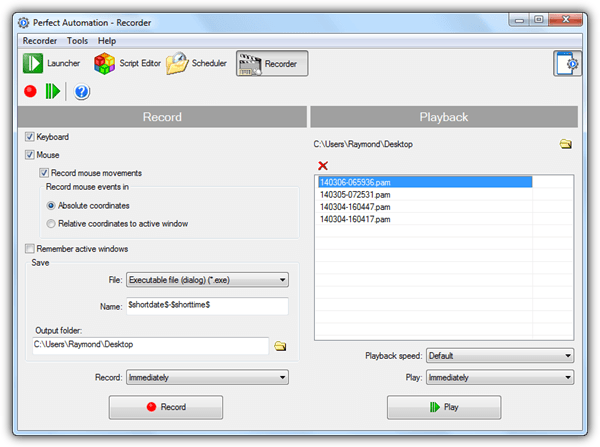 The ability to compile a macro recording into an independent executable file is very useful to run the automation on a computer without installing the macro software. Repeat and loop is quite similar with the difference you get to define the exact amount of times for the macro to run in repeat while loop will just continue to run until you manually stop the playback. Schedule playback is for the macro to automatically run on a specific time. Speeding up playback can be useful under some circumstances but not all the time because sometimes you’ll need the extra delay for certain actions to complete. Finally the memory usage is measured when a macro is running. We felt that hotkeys in macro software are very important to conveniently start and stop macro recording/playback so that the initial mouse movement recordings can be reduced. Other than that, when a macro is being played at an infinite loop, a hotkey to manually stop the macro playback when you’ve set it to run an infinite loop is also very important or else it can be quite difficult to terminate the process since there might be an action running at every second. 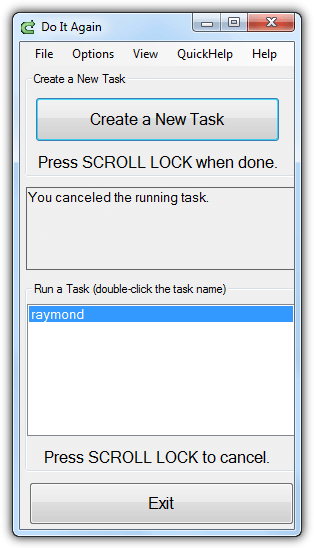 If you want a quick, simple and easy to use macro, we recommend TinyTask. It is more suitable for recording short and repetitive tasks or else you might end up re-recording multiple times just to get it right because unnecessary recorded actions might interfere with the playback. This is the drawback of not being able to edit the recorded macro. 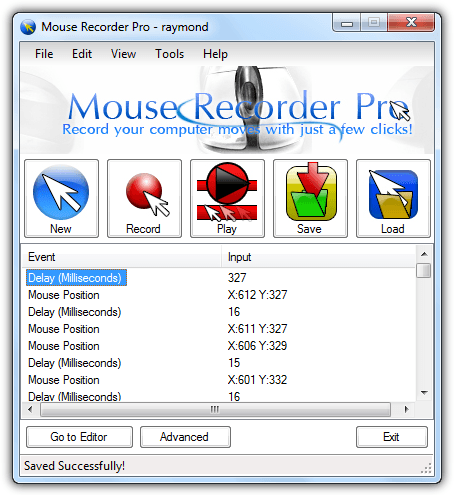 Most of the free macro software is only capable of recording keyboard and mouse actions. Perfect Automation is the only free macro software that comes with over a hundred scripts to support commands for working with network, FTP, registry, files, folders, forms, messages, Internet, clipboard and etc. Pulover’s Macro Creator, our first choice of macro software has the right balance. It is easy enough for a beginner to use while it offers complex actions for managing windows, controls, files, strings, search images/pixels on screen and even create If/Else Statements for advanced users to control the flow of macros. Other than that, the compiled recording takes up very little memory usage during playback.